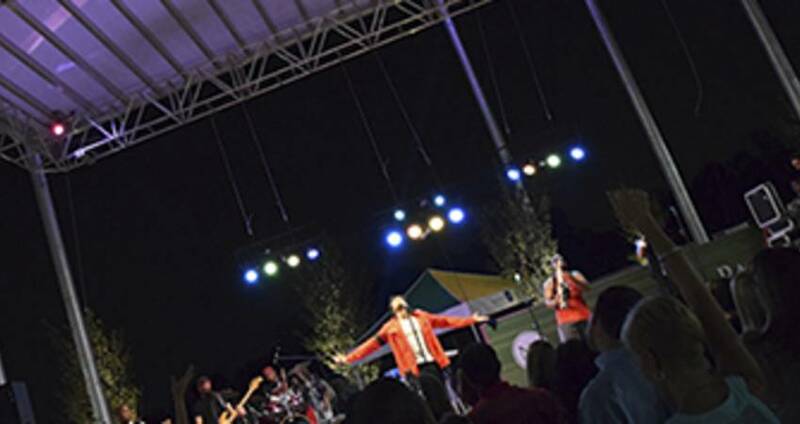 "A Feel Good Music Series" is how North Hills and Midtown Events describes its Friday Night Tributes concert series at Midtown Park—and that&apos;s exactly what it is. The cool breeze of a Carolina evening. Hands-down delicious food. The positive energy of fellow music fans in the air. Music that will take you back to some of your fondest memories. 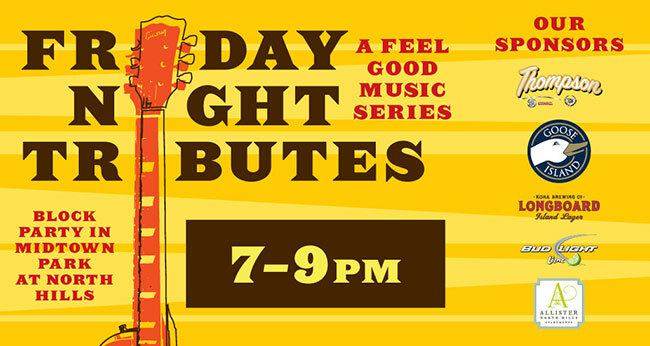 These are all ingredients for a feel-good night of live music, and Friday Night Tributes doesn&apos;t skimp. I&apos;m a pretty big Michael Jackson fan. Always have been (since I was four years old), and always will be. I had already planned to check out the opening night of Friday Night Tributes last Fri. (I heard it was going to be big), and when I heard that Who&apos;s Bad: The Ultimate Michael Jackson Tribute Band was going to kick off the series, my "Michael Jackson Live in Bucharest: The Dangerous Tour" disc didn&apos;t leave the player. I knew there would be a big crowd, so I arrived early. 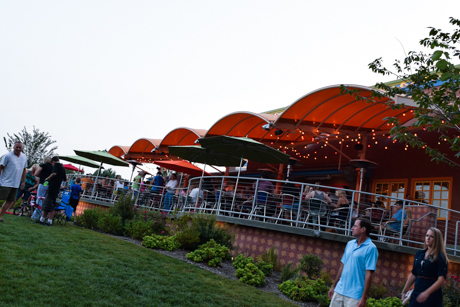 I highly suggest to arrive early and dine at one of the many restaurants surrounding Midtown Park. You can&apos;t go wrong with any of the options, and especially with Chuy&apos;s, a Mexican restaurant that has an outdoor patio overlooking the park and the stage. The aromas, themselves, coming from the restaurants might entice you to dine there, if I don&apos;t! Also, if you want a lawn seat, close up, take a lawn chair and claim a spot early (at around 6pm or so—the concerts start at 7pm). I saw the "front-row" spots fill up pretty quickly (seating is general admission, with the lawn seating setup). Entering Midtown Park, I got the same feeling I did as a kid when I hit the playground, seeing a landscape full of entertainment, knowing there was a great evening ahead and knowing I was going to be immersed in something I love for hours (music, in this case, and Michael Jackson&apos;s music, specifically). Midtown Park is beautiful. Modern amenities and design, with a community park feel, blends perfectly in the area filled with greenery and open space. 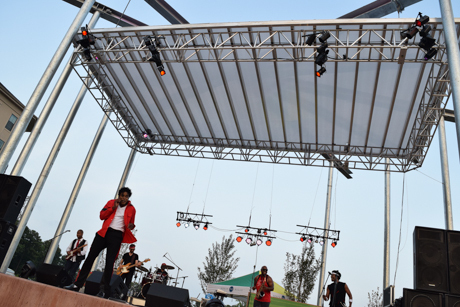 The design of the stage itself at Midtown Park is something to awe over. 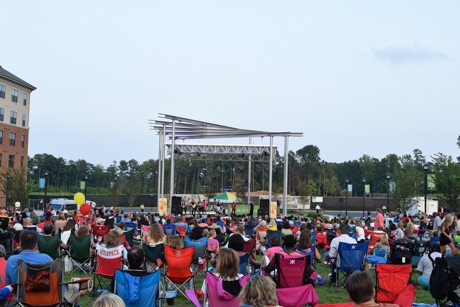 Designed by Thomas Sayre (who also designed the gigantic earthcast rings at North Carolina Museum of Art&apos;s Museum Park), the stage was designed using local resources to create an authentic community feel, and it sure does. Checking out the stage and the sound system was a must, and I knew immediately from Who&apos;s Bad&apos;s sound check that the volume and mix were going to be just right—not too loud and harsh, but still at a rocking volume. I acquainted myself with the venue and found that no matter where my feet were planted, I had a great view of the stage—from in front of Chuy&apos;s patio and all over, due to the slant of the lawn. 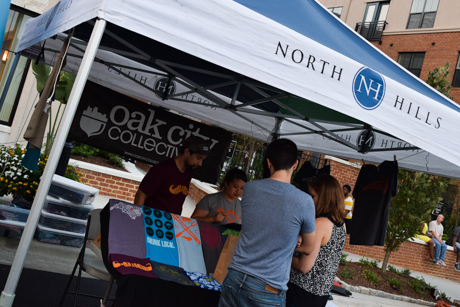 For the special event, North Hills features vendors sidelining the lawn, from North Carolina-related apparel vendor Oak City Collective, to the ever-so-popular Chirba Chirba food truck, an Eschelon Experiences beer tent (with Longboard, Goose Island, Bug Light Lime brews and more drinks), to-die-for cotton candy from Oscar William&apos;s Gourmet Cotton Candy from Apex and more. Definitely walk the streets around Midtown Park to check out the vendors—there&apos;s some cool stuff to pick up. 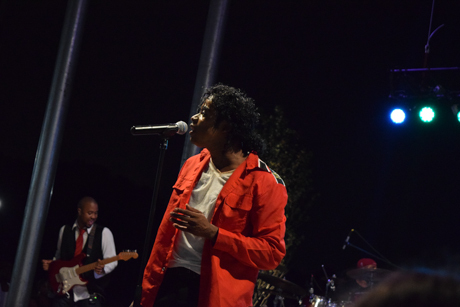 Who&apos;s Bad hit the stage approximately at 7pm and the lead singer, decked out in the whole Michael Jackson getup, filled the venue with the spirit and vibe of MJ. And the voice, dance moves and personality echoed MJ superbly. That feel-good atmosphere I mentioned earlier... it came alive, full force, when the songs of Michael Jackson took my mind to some of the best times of my life. You know, how hearing a song can make you think of a specific moment in your life? By the looks on faces around me, I wasn&apos;t the only one feeling good. 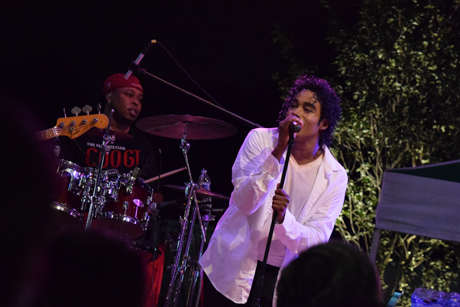 The band rocked, and played the music of Michael Jackson phenomenally. The audience moved the entire time, and all in sync with the grooves. The event was family-friendly by all means. Kids and parents danced, and several young ladies and gents in the audience brought their MJ moves and gear, including gloves, hats and the shoes. At one point, Who&apos;s Bad even invited all the kids to the stage to rock with the band. Some hit center stage, showing off their moonwalk, twirl and pop and lock skills. The grooves didn&apos;t stop, and Who&apos;s Bad&apos;s energy never faltered. As the night went on, the lights of the stage came on and splashed purples, blues, reds, greens and a plethora of colors on the band and the audience up front. The festive lights at Chuy&apos;s, at the back of the park, added to the celebratory atmosphere. 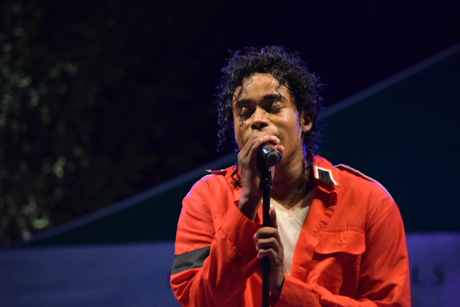 After all, the show did land right on Michael Jackson&apos;s birthday! Who&apos;s Bad pumped out Man in the Mirror, Thriller, Beat It, Off The Wall and much more: a full, two-hour set of MJ favorites. And the fun and energy never stopped. 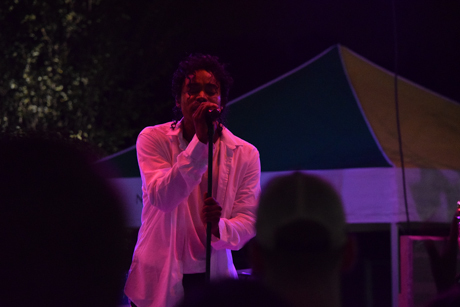 With a two-hour set, the night didn&apos;t feel like it went by fast as myself and the audience was totally immersed in every note and line from the hits. 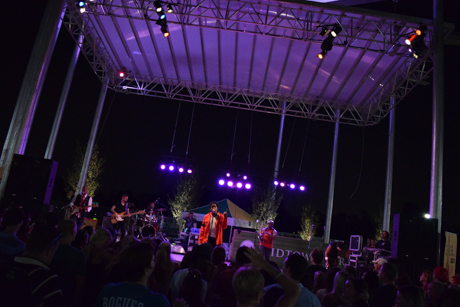 If you missed the first night of Friday Night Tributes last Fri., have no fear, Bob Marley is here... tomorrow (Sept. 5)... his spirit through the tribute band, Crucial Fiya Band. And Trial by Fire (Journey tribute), On the Border (Eagles tribute) and a whole series of concerts is ahead. Check out the full Midtown Park schedule here! The concert series is a "can&apos;t miss." 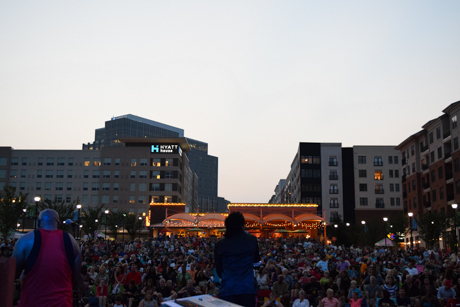 And tag your photos on Twitter and Instagram with #NHTributes and #FeelGoodFriday, along with using the @visitRaleigh, @visitnorthhills and @midtownevents handles—we&apos;d love to see photos from your night!